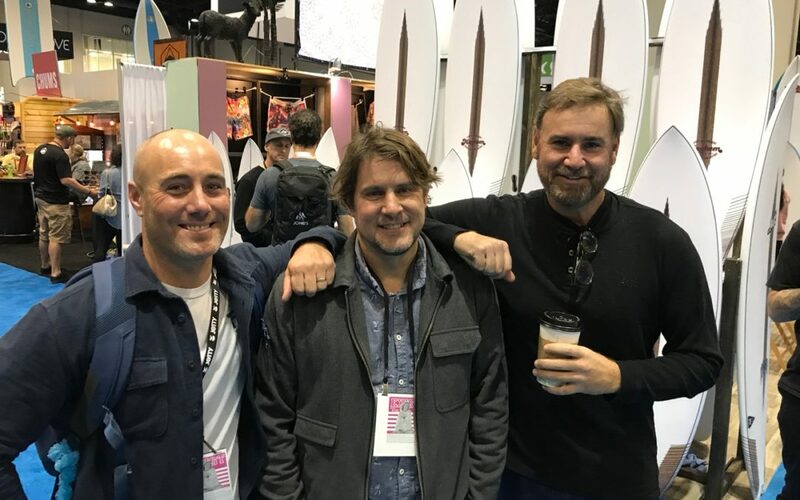 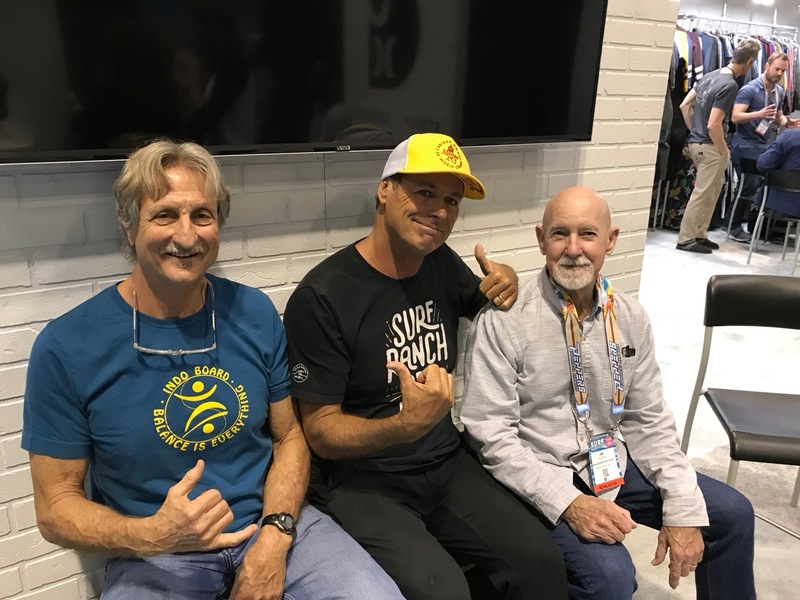 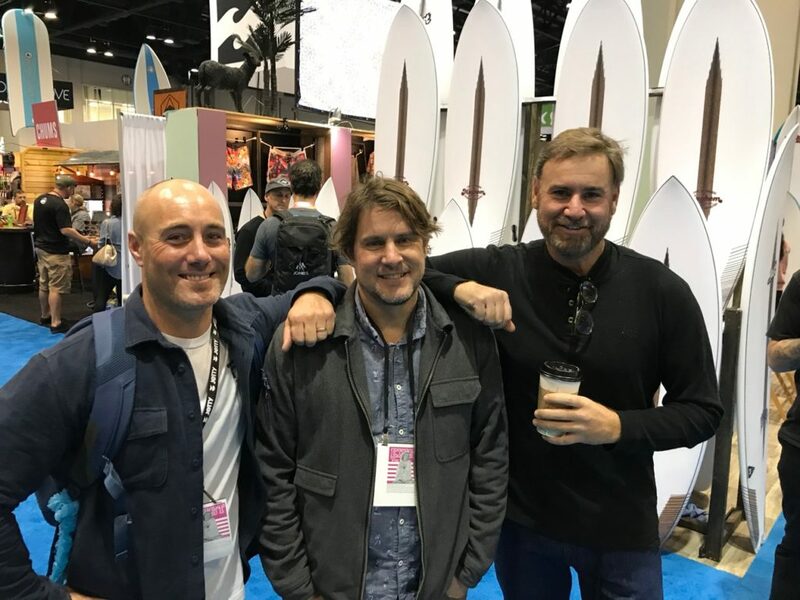 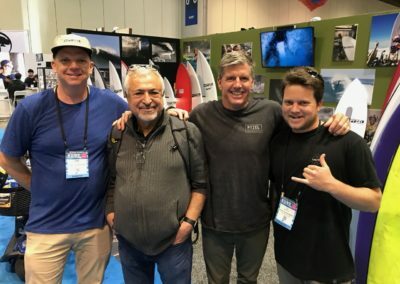 Brian Farias of Farias Surf & Sport, and Mike Reola and Matt Biolos of Lost. 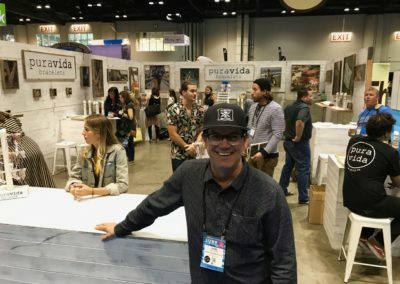 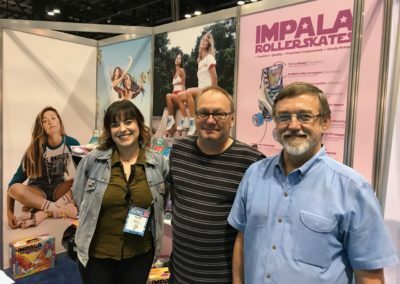 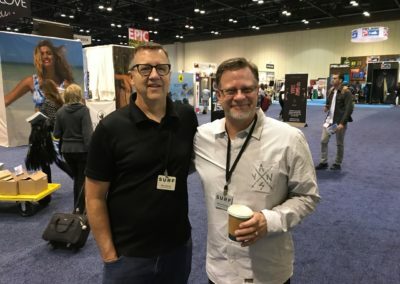 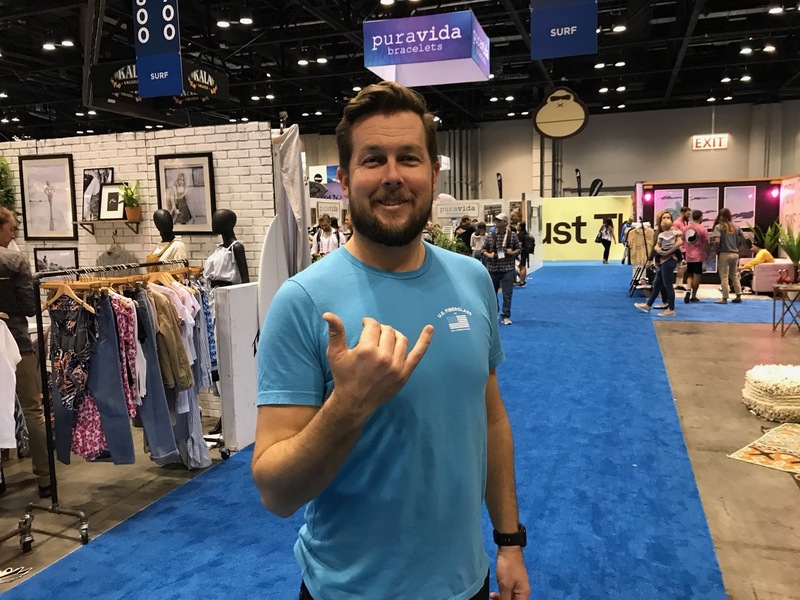 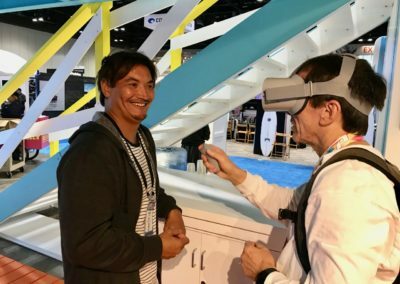 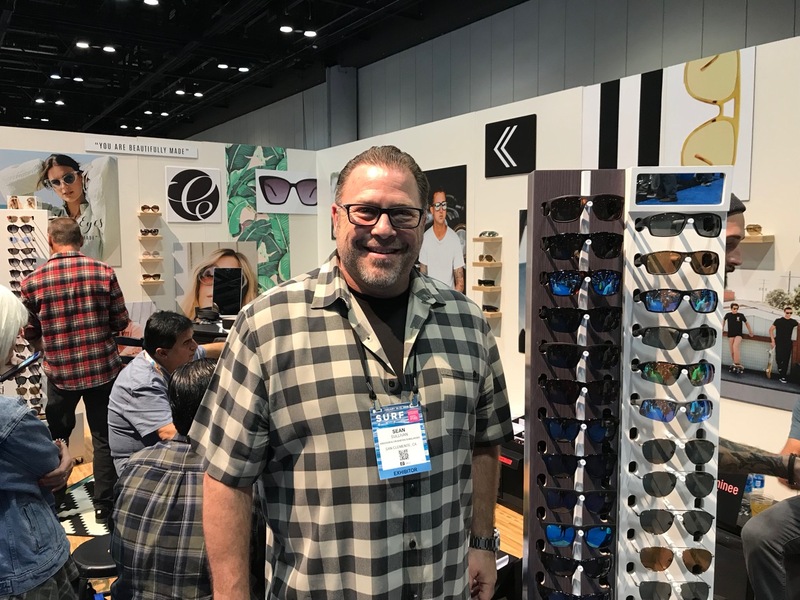 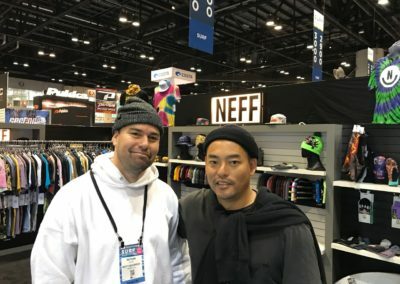 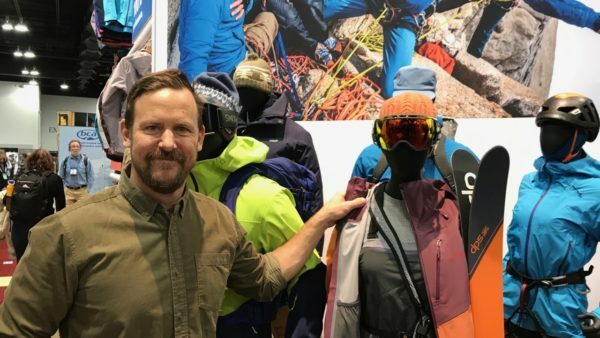 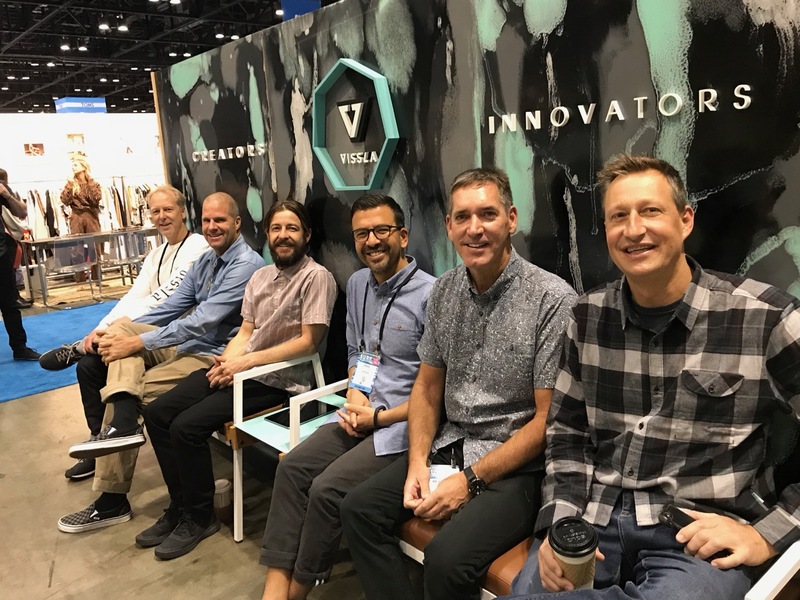 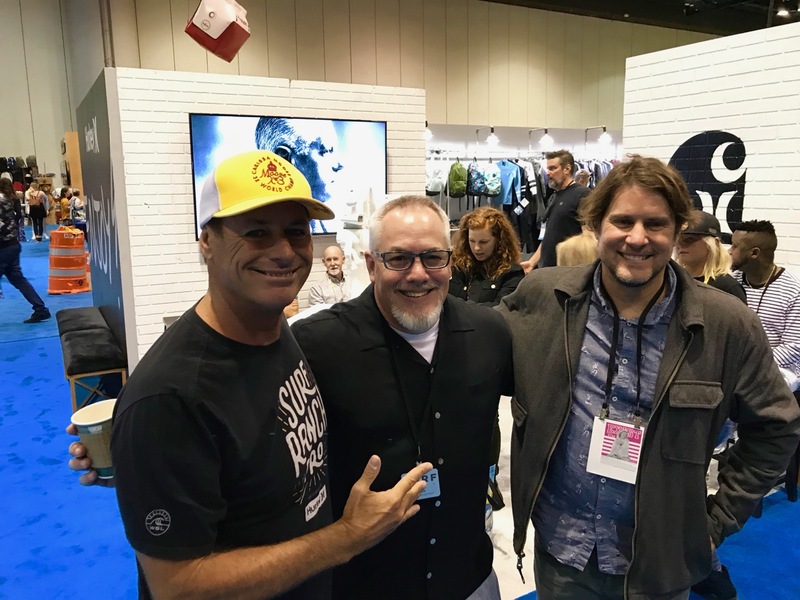 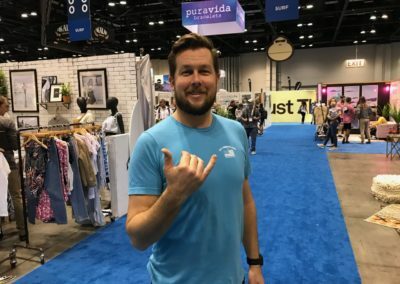 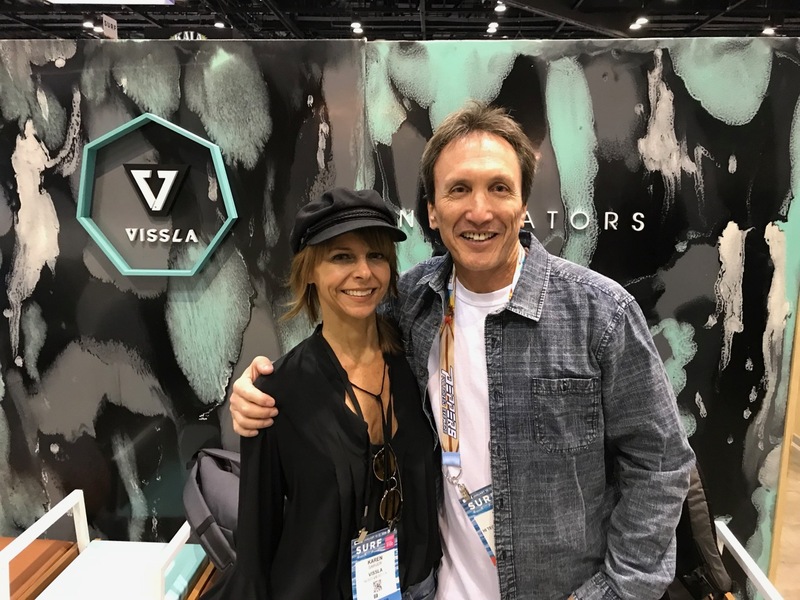 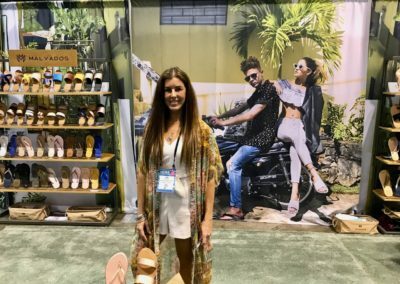 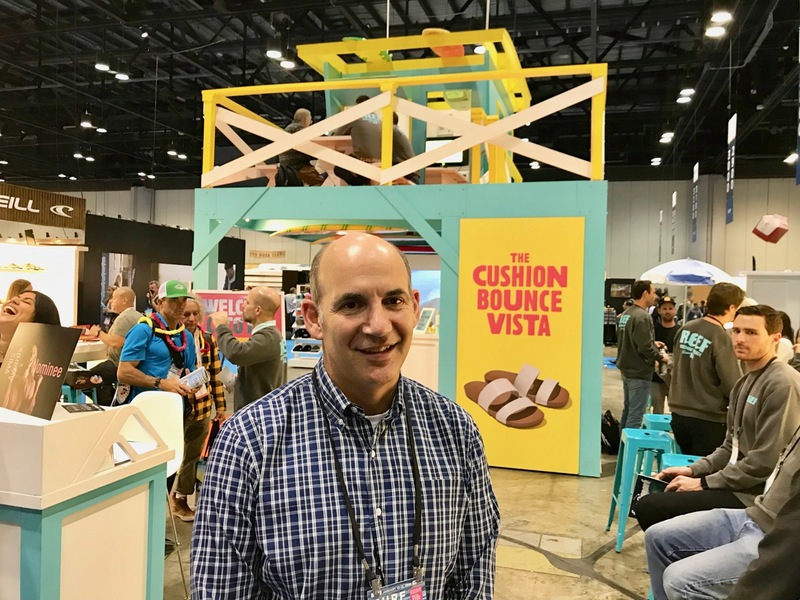 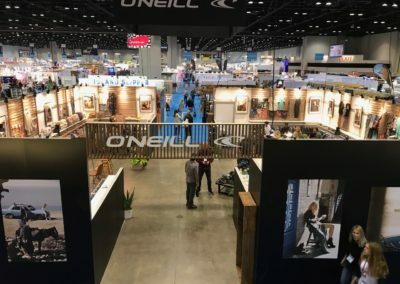 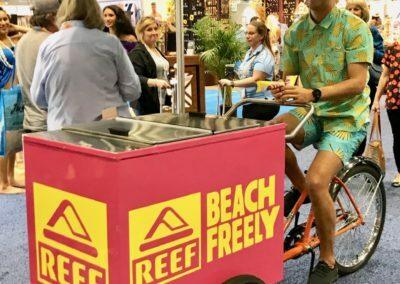 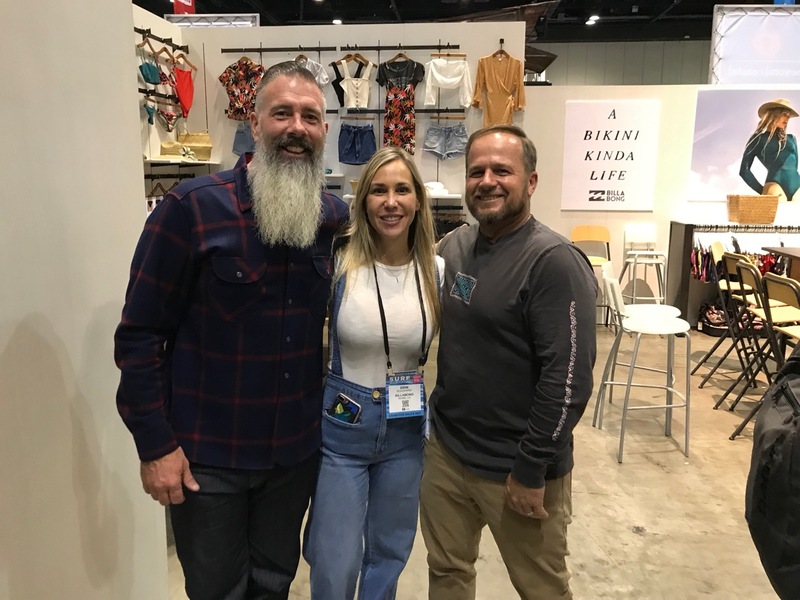 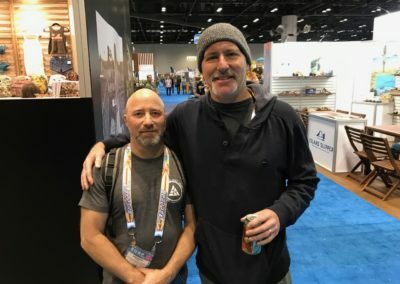 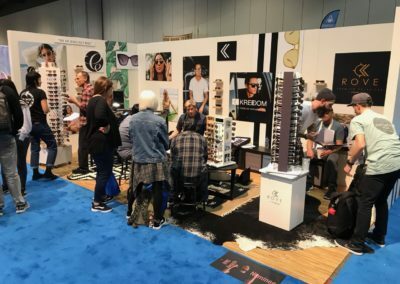 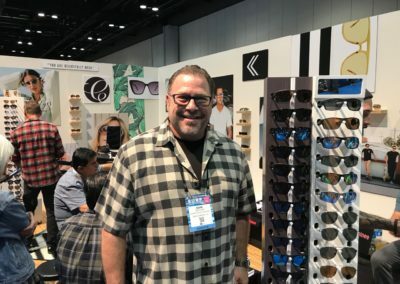 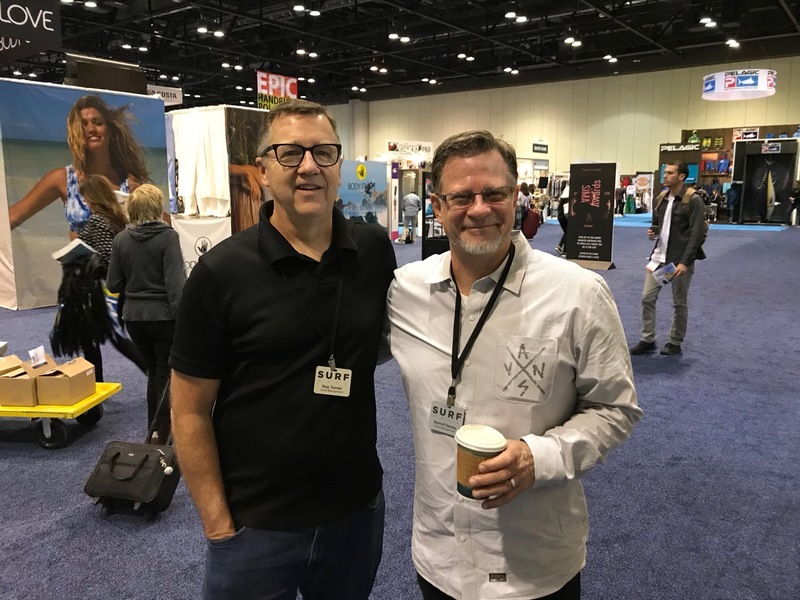 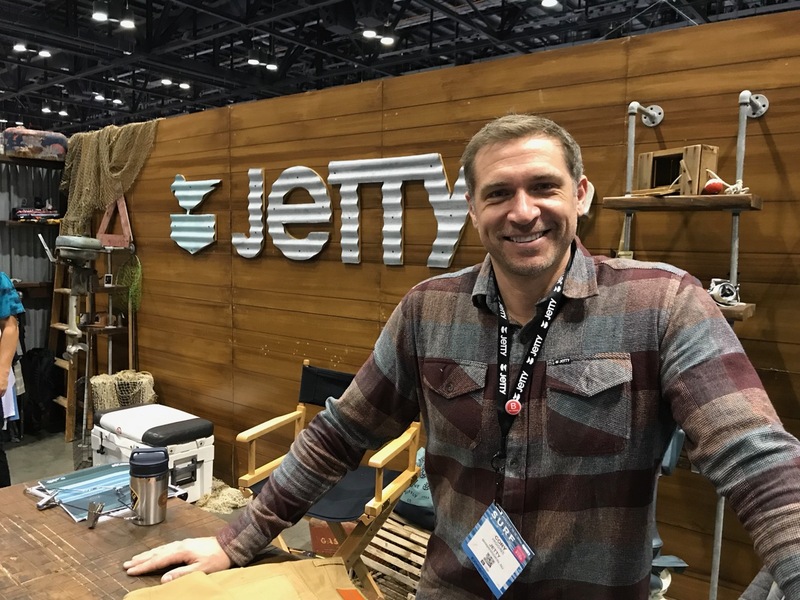 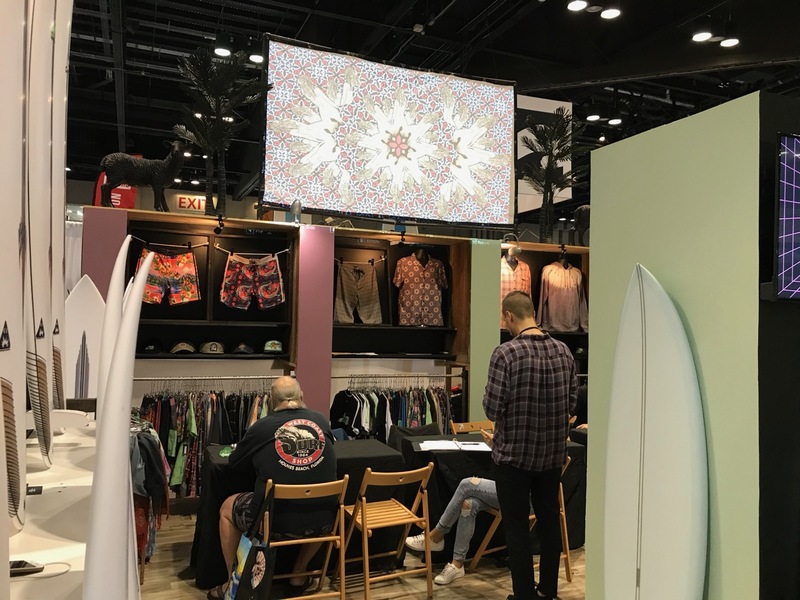 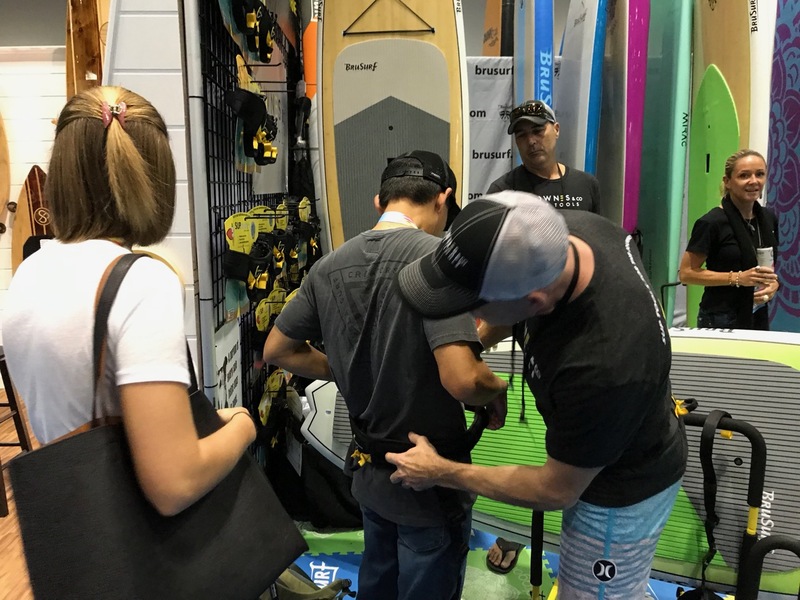 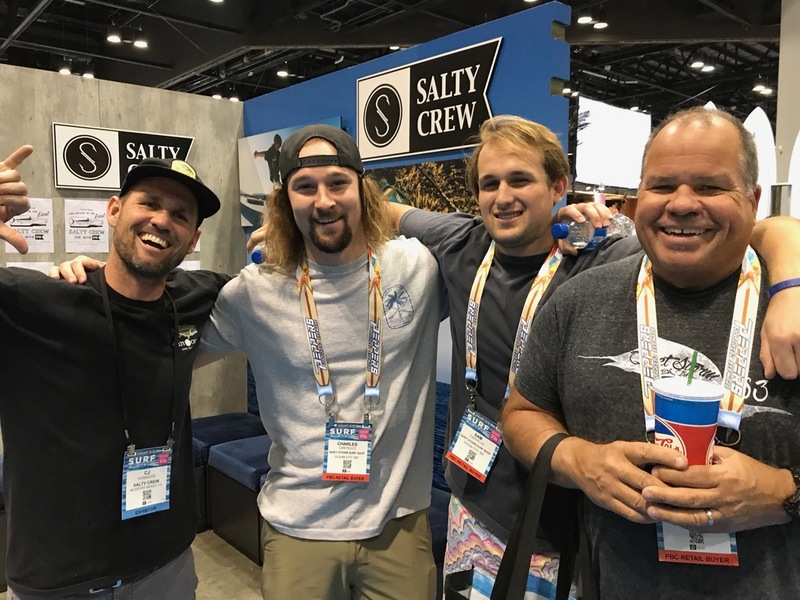 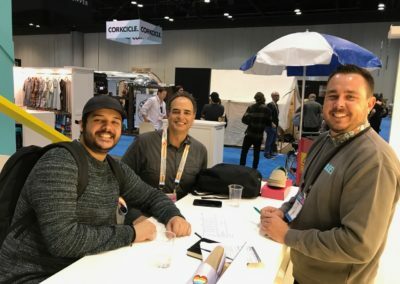 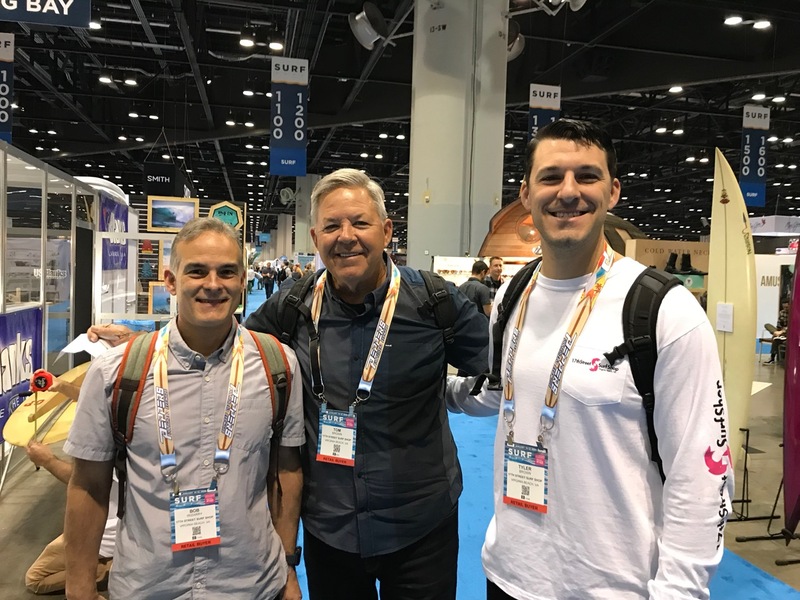 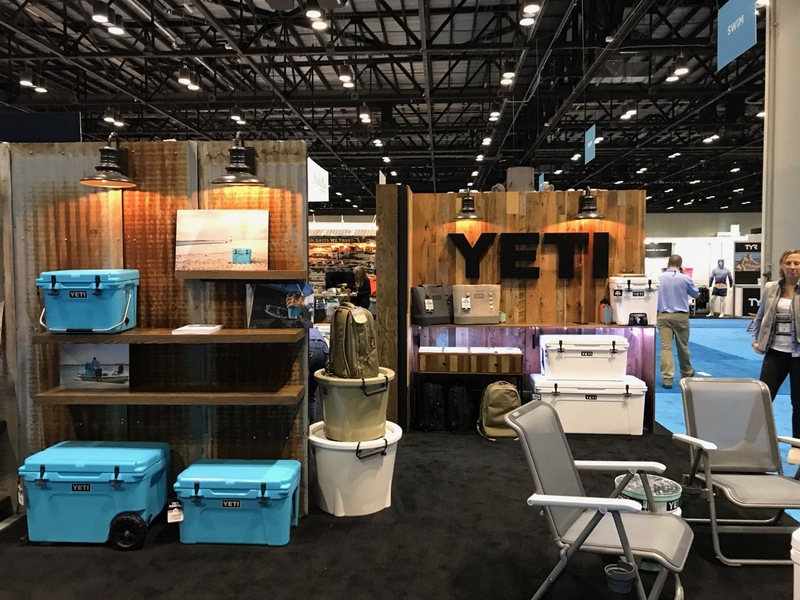 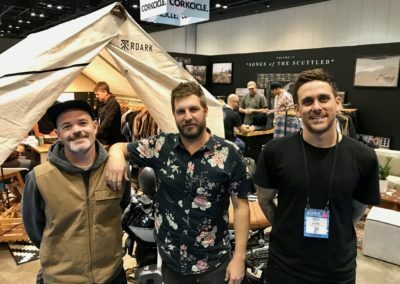 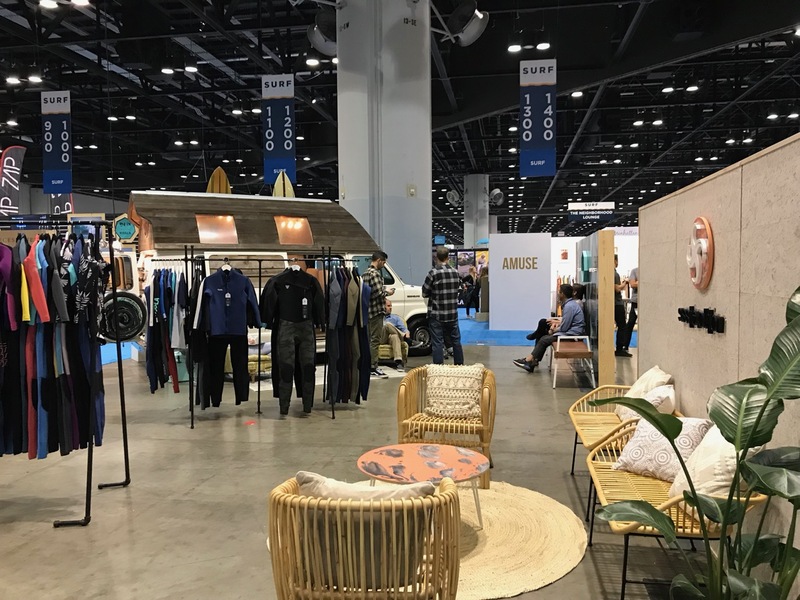 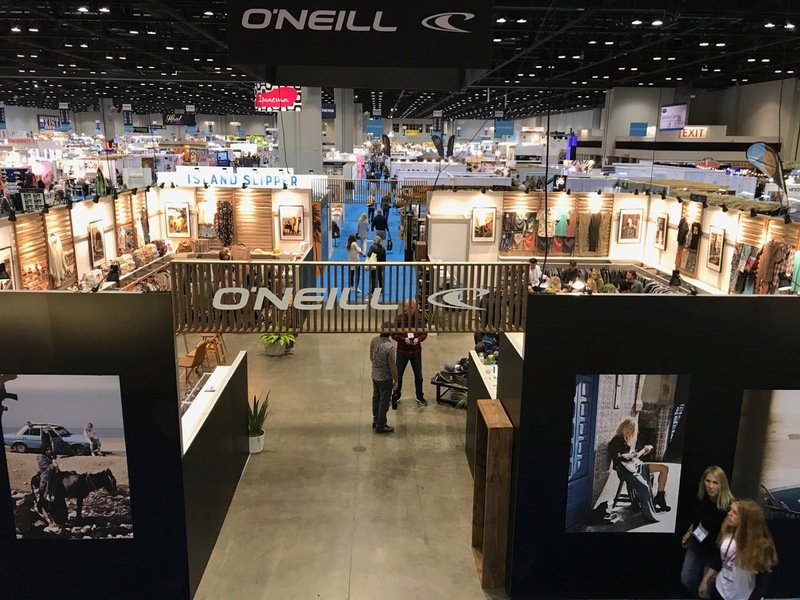 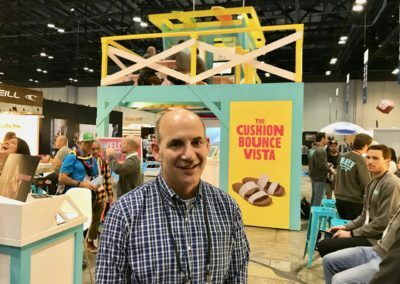 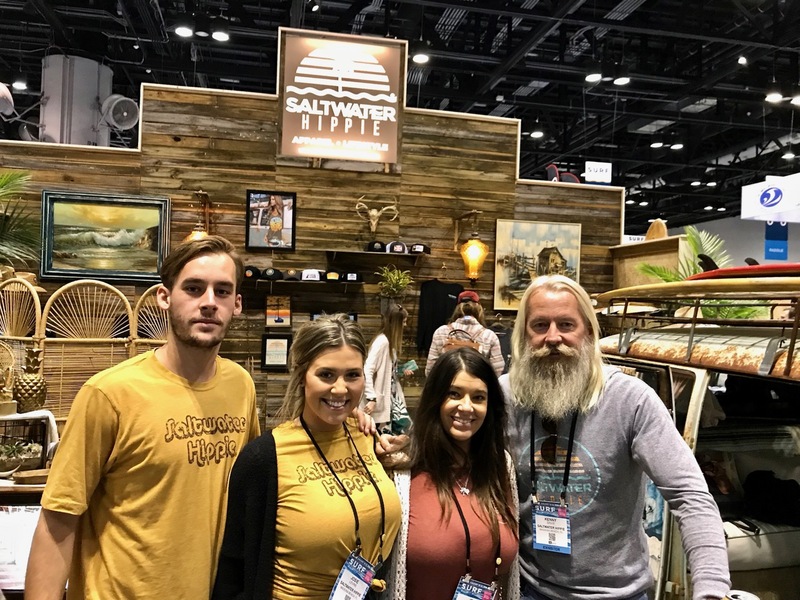 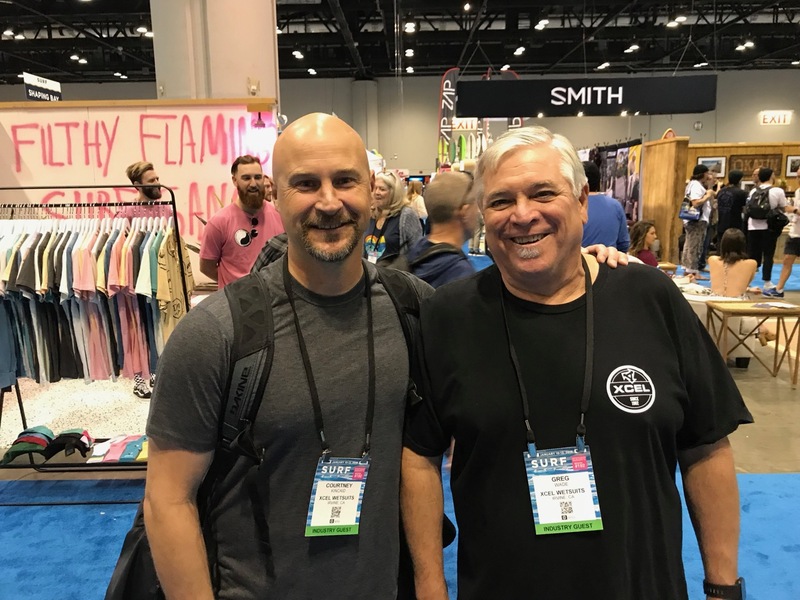 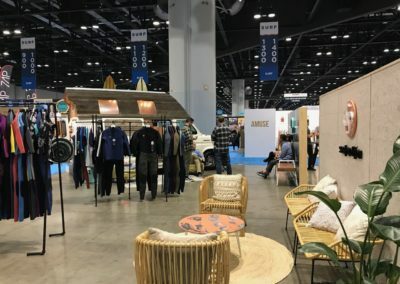 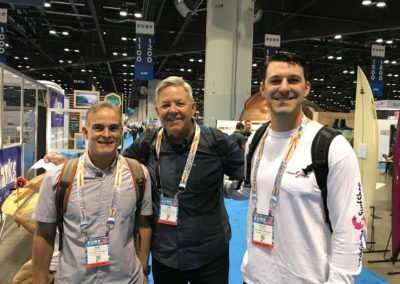 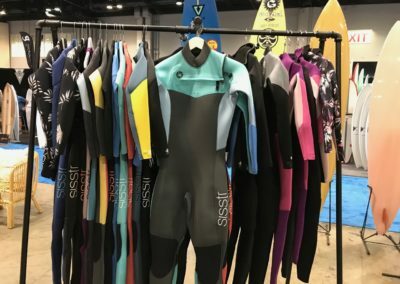 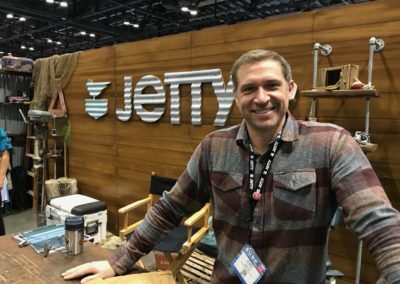 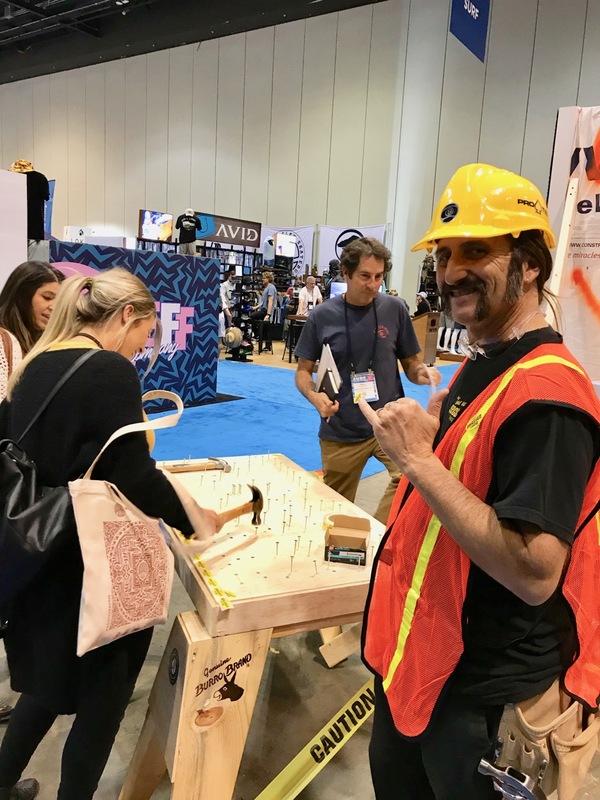 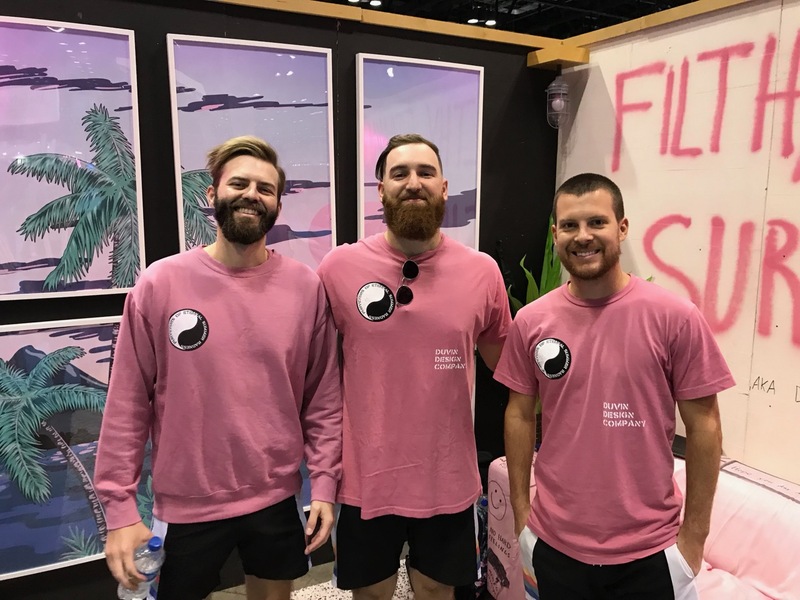 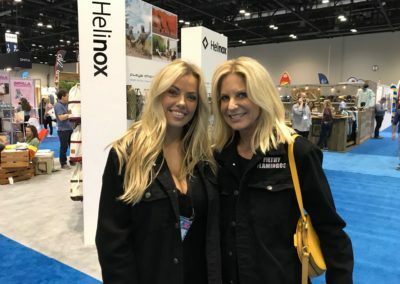 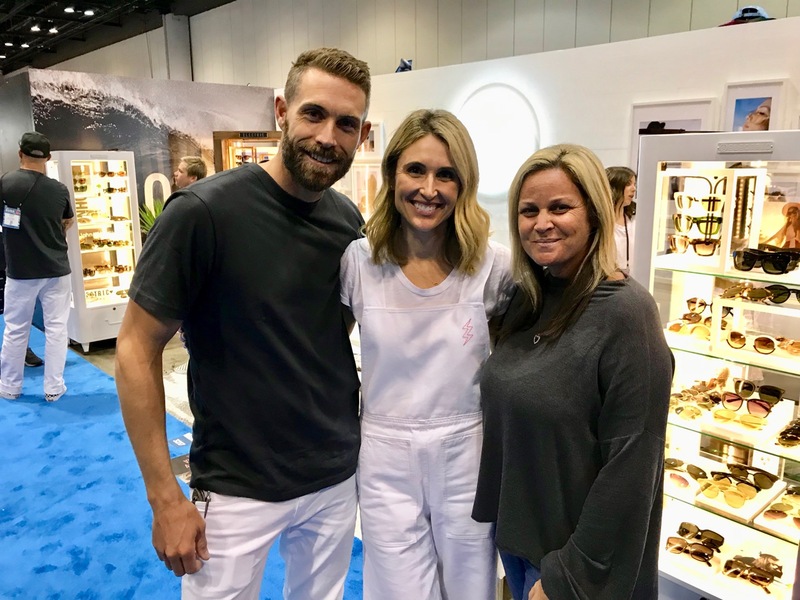 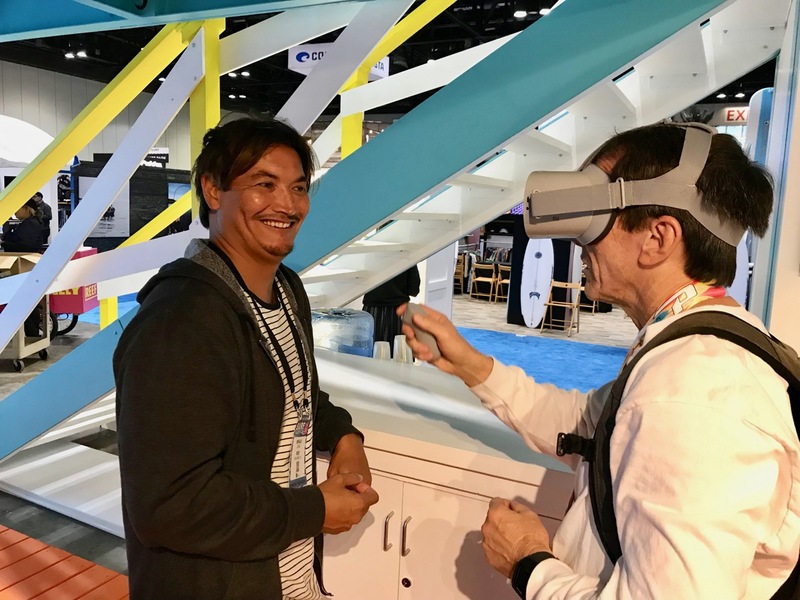 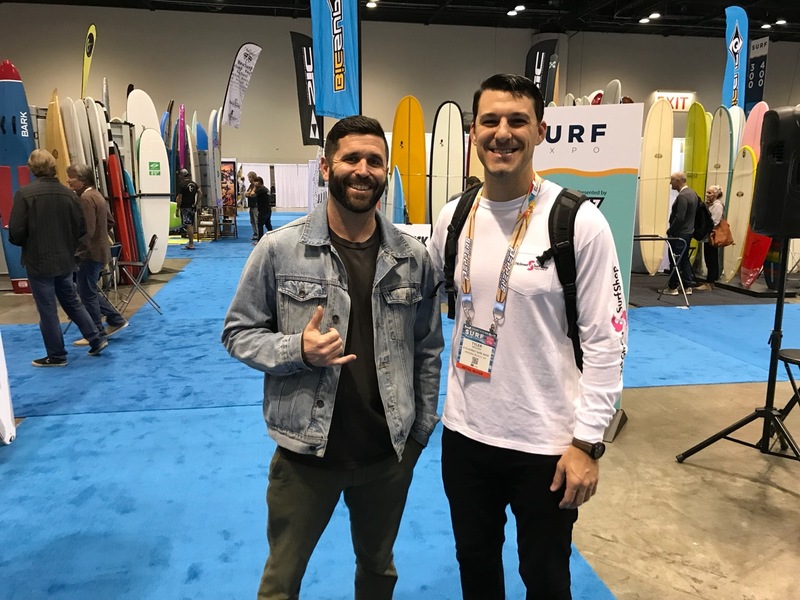 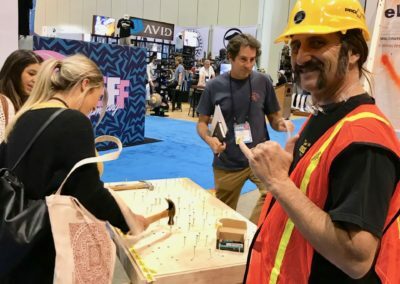 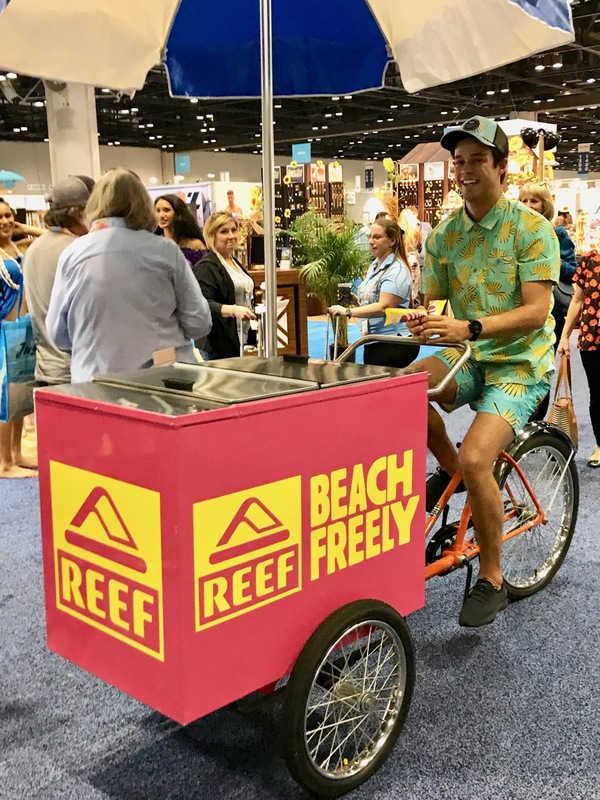 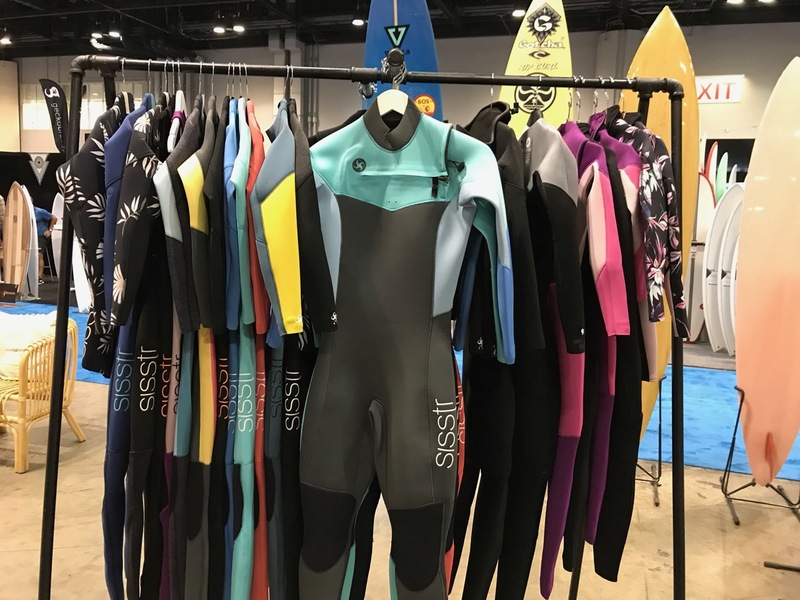 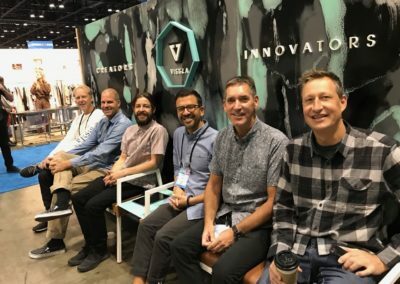 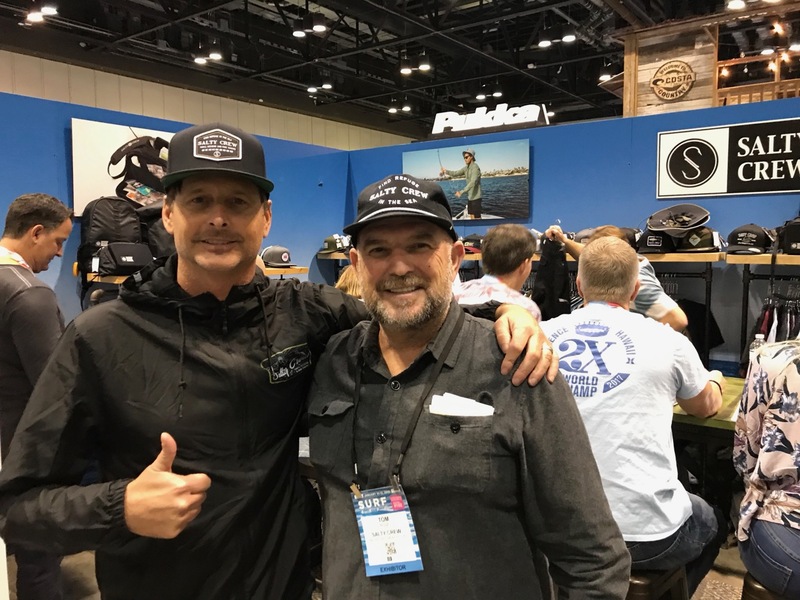 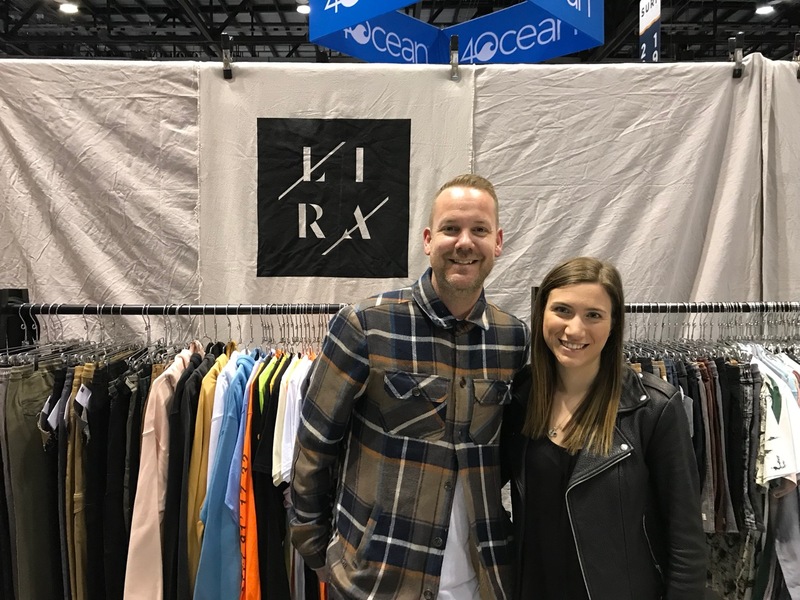 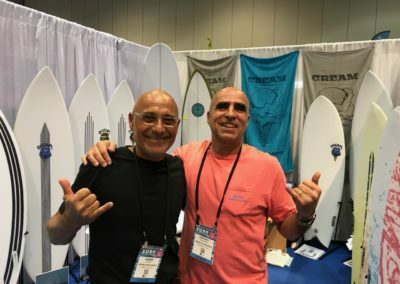 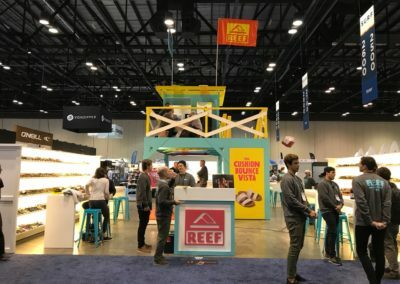 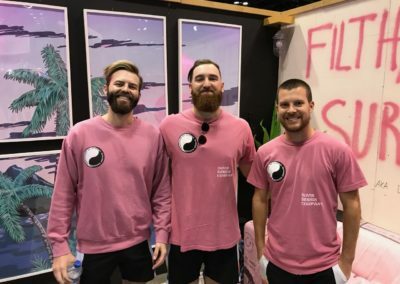 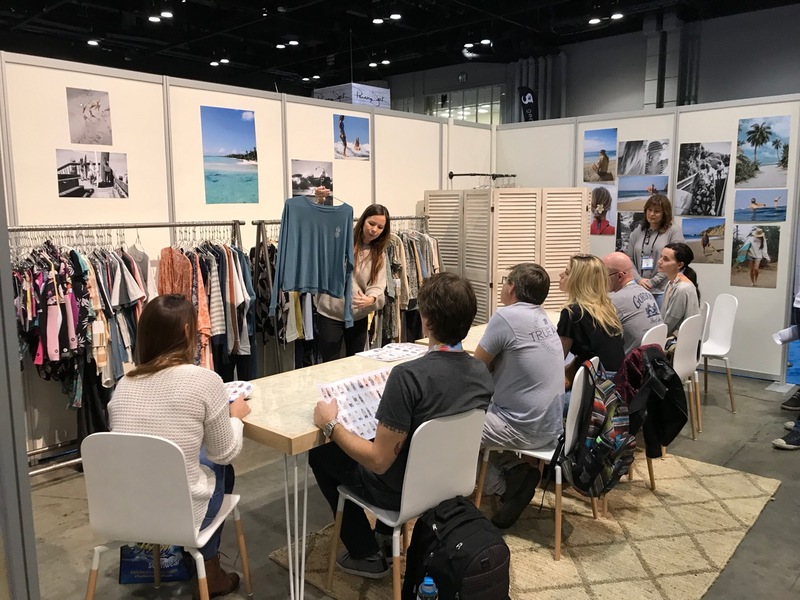 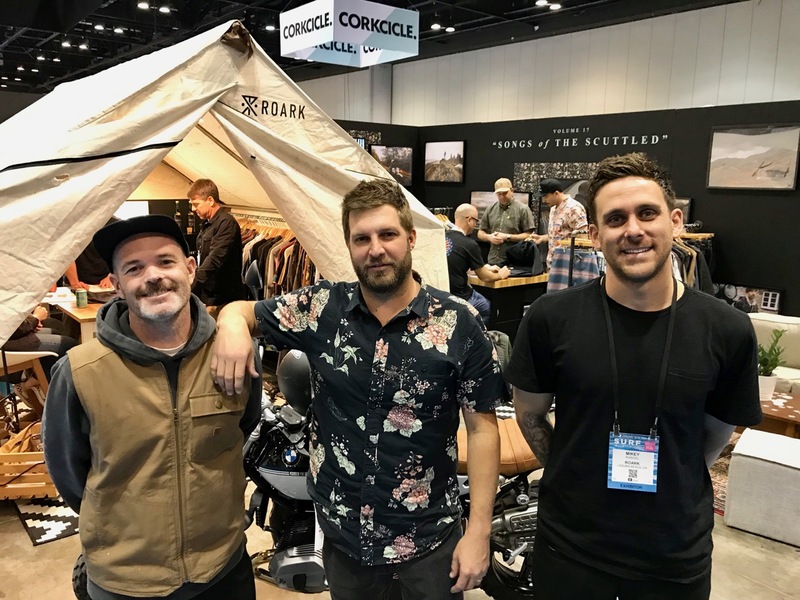 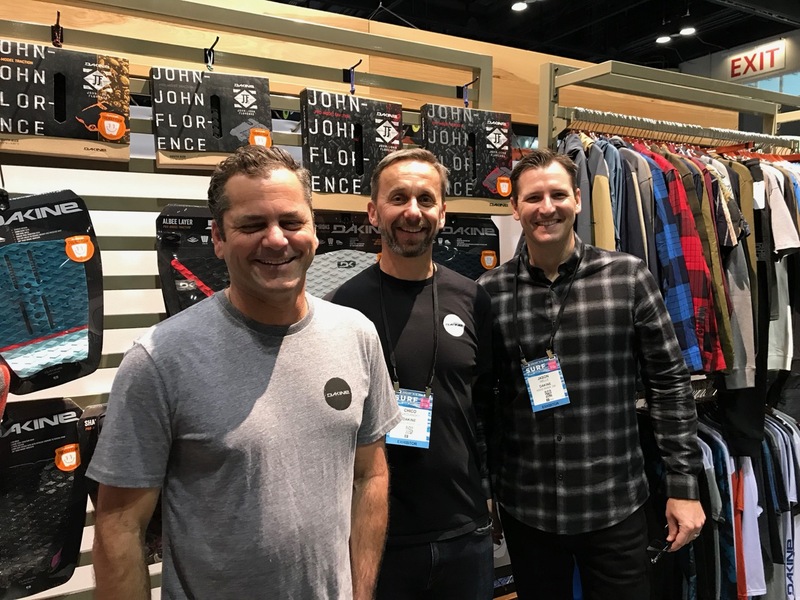 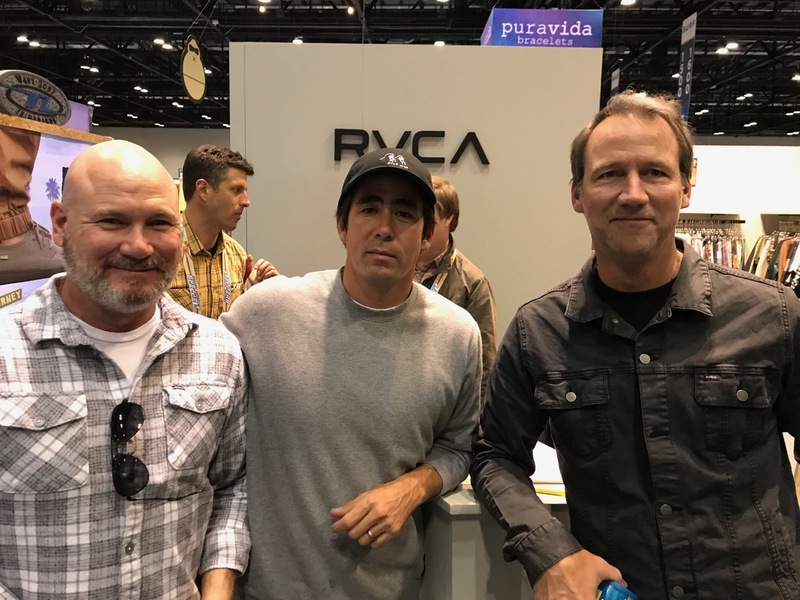 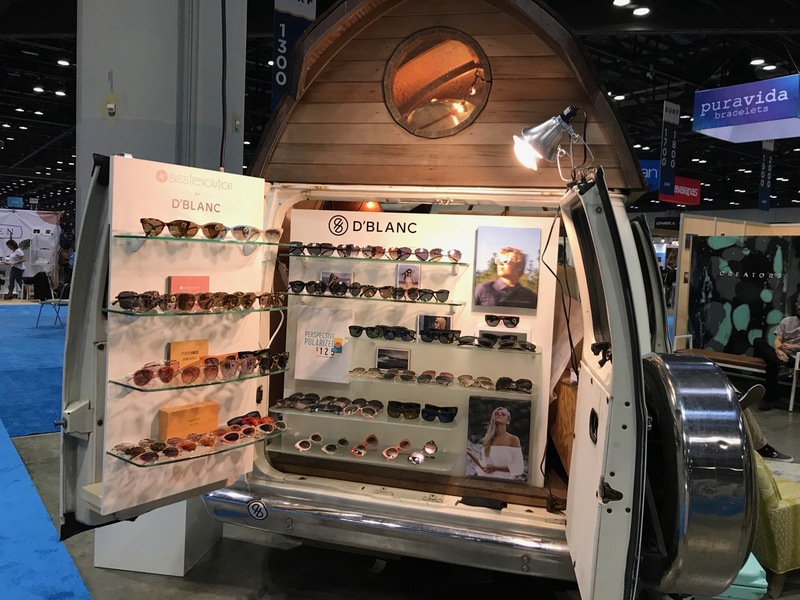 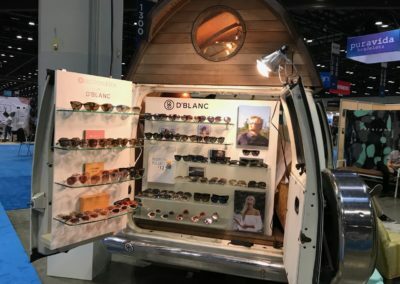 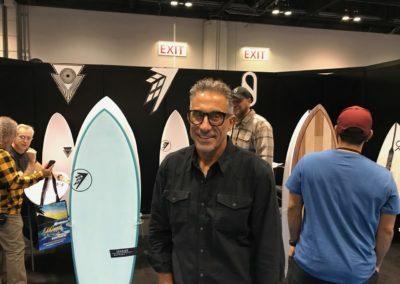 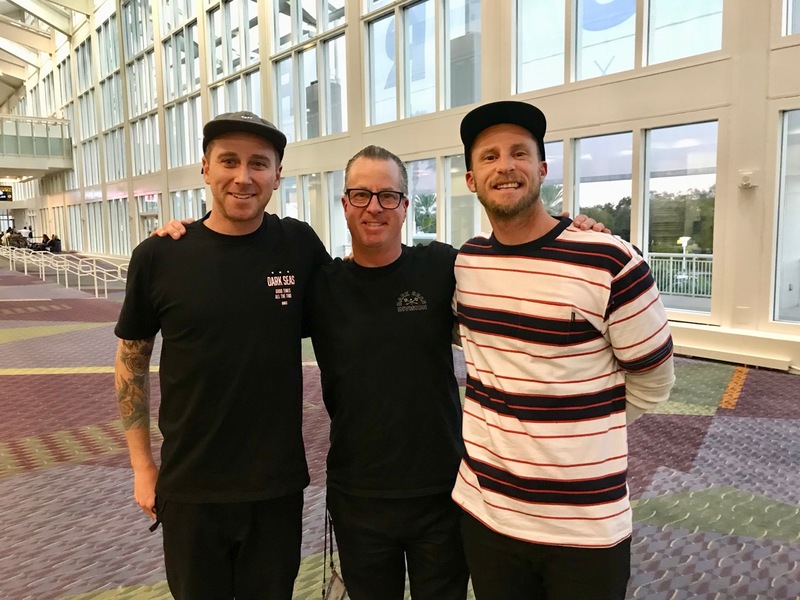 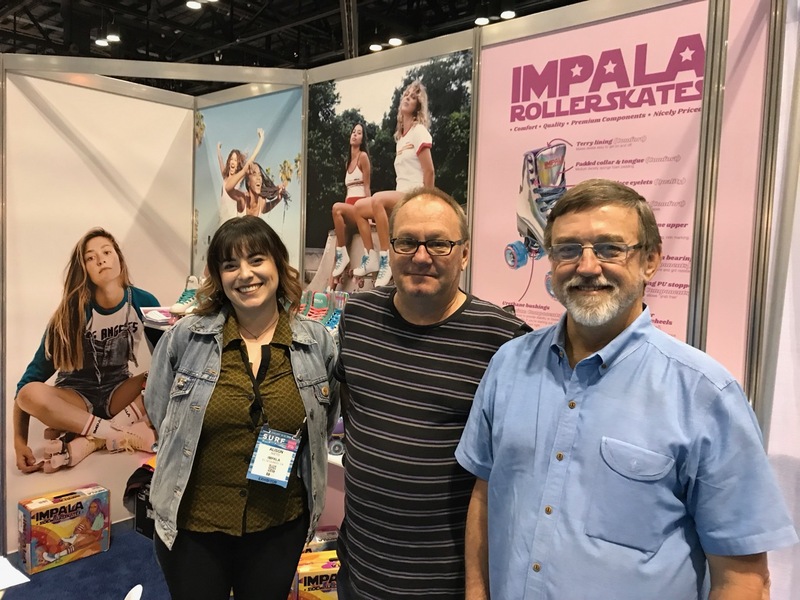 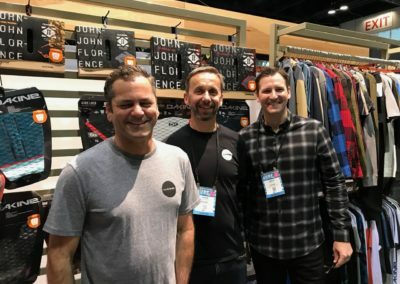 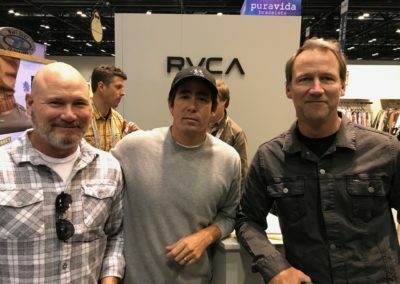 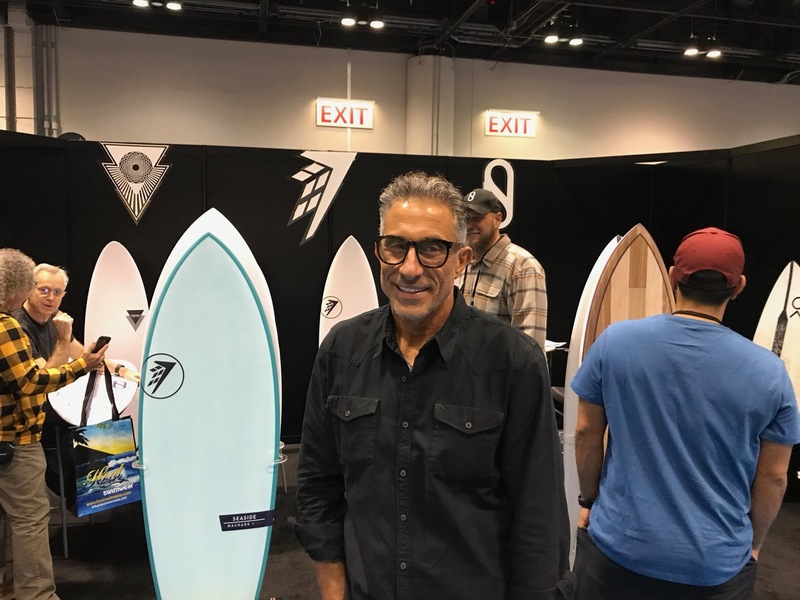 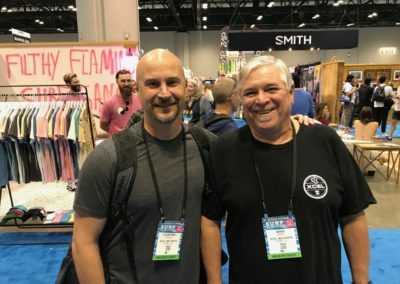 Surf Expo got underway Thursday in Orlando and we have photos from a busy day on the show floor. 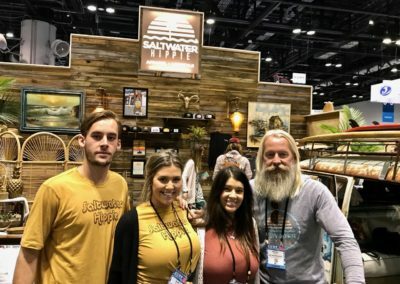 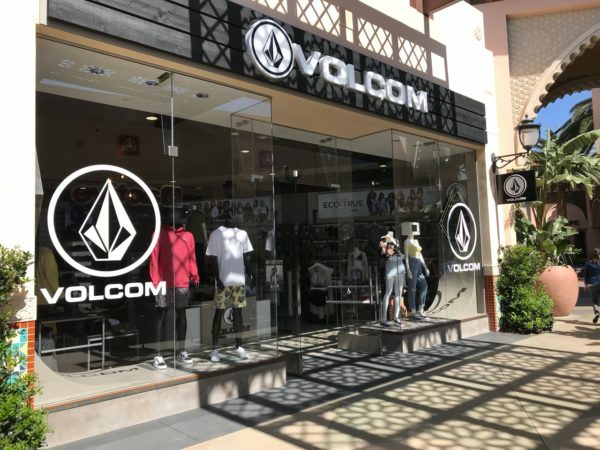 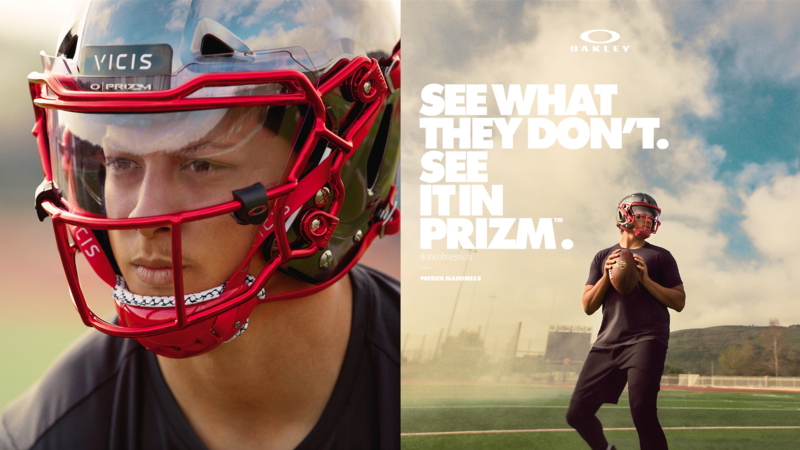 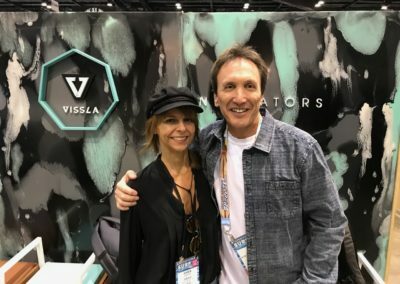 We saw lots of retailers and brand executives and will have many interviews in coming weeks. 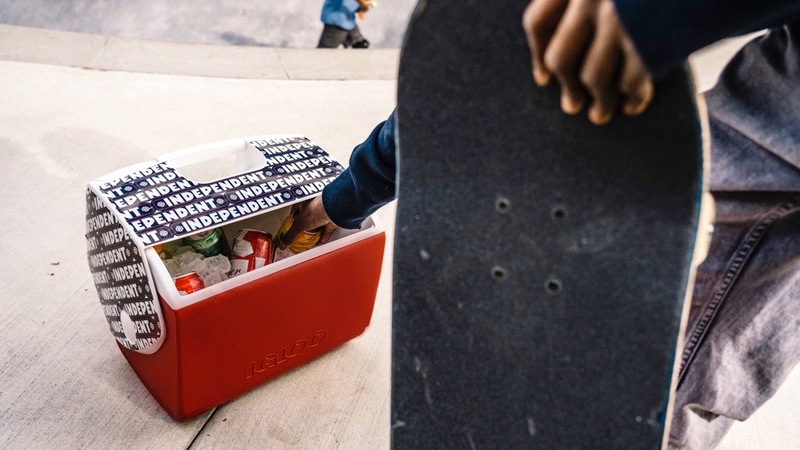 In the meantime, here are photos from the day. 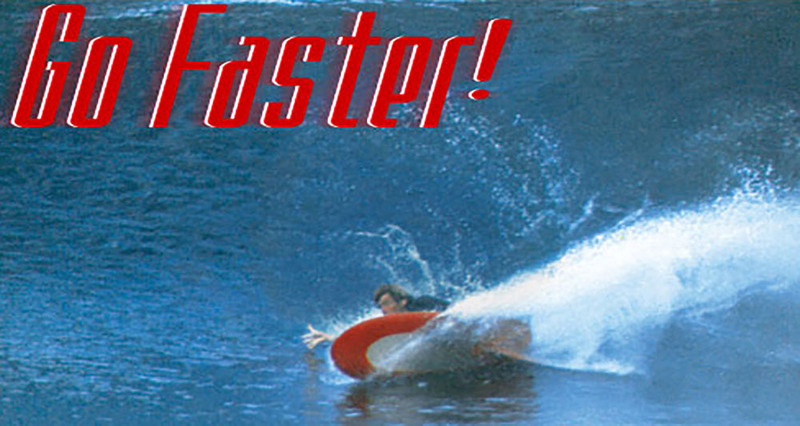 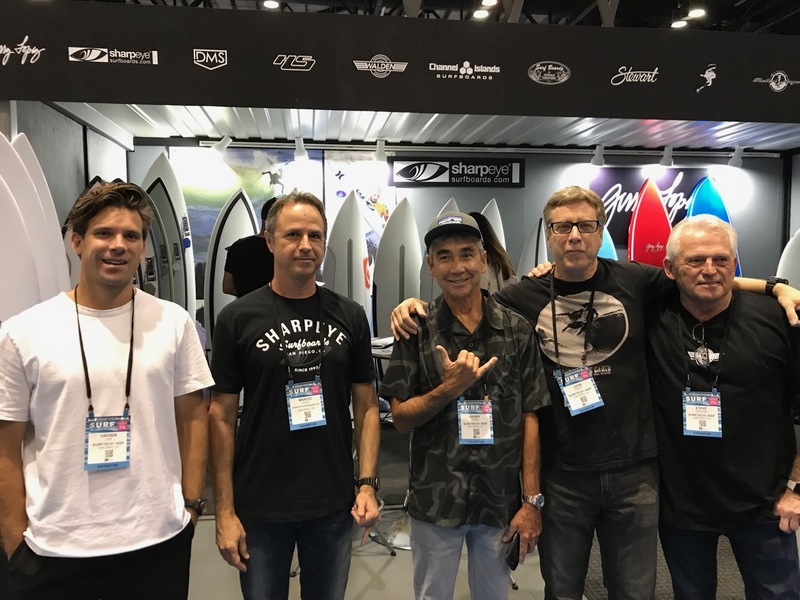 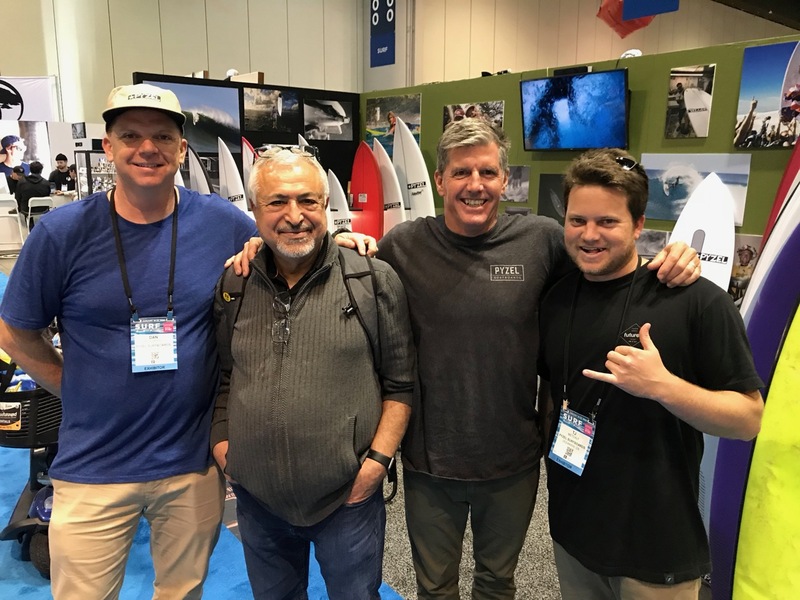 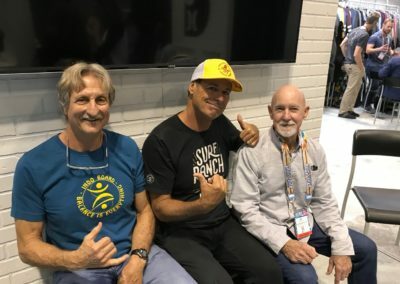 Surftech CEO John Vance, second from right, has been very busy. 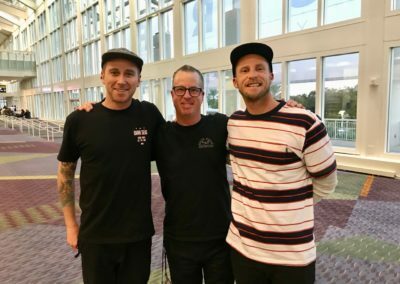 He just signed new deals with Hayden Cox, Marcio Zouvi, Gerry Lopez and Steve Walden. 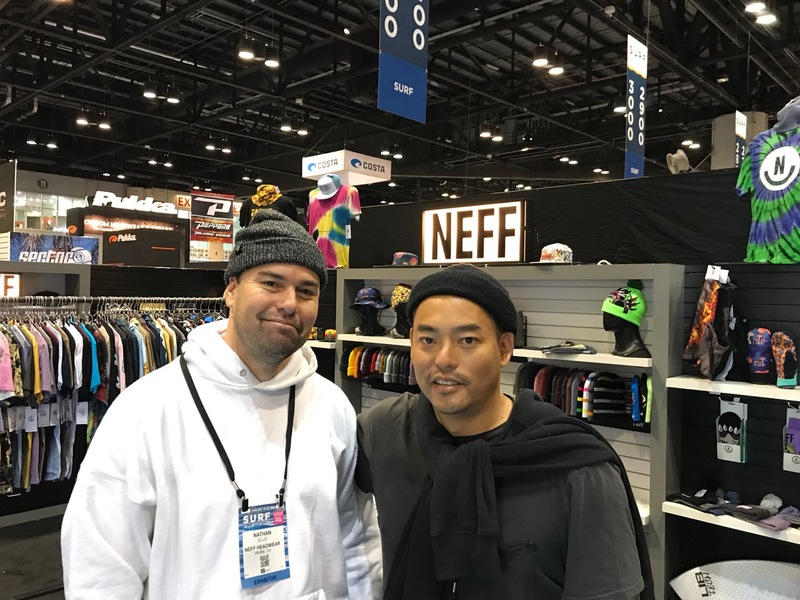 Photo by SES. 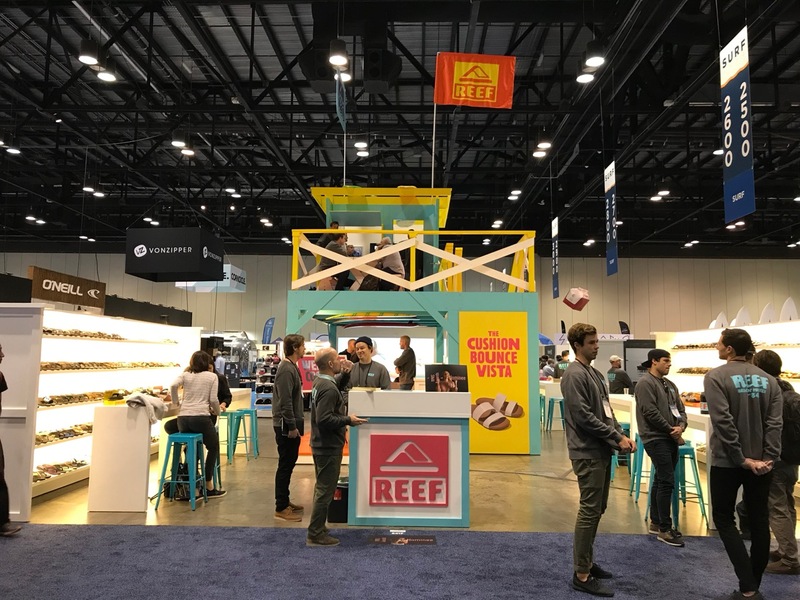 The Reef booth. 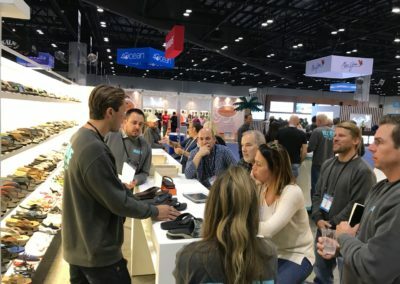 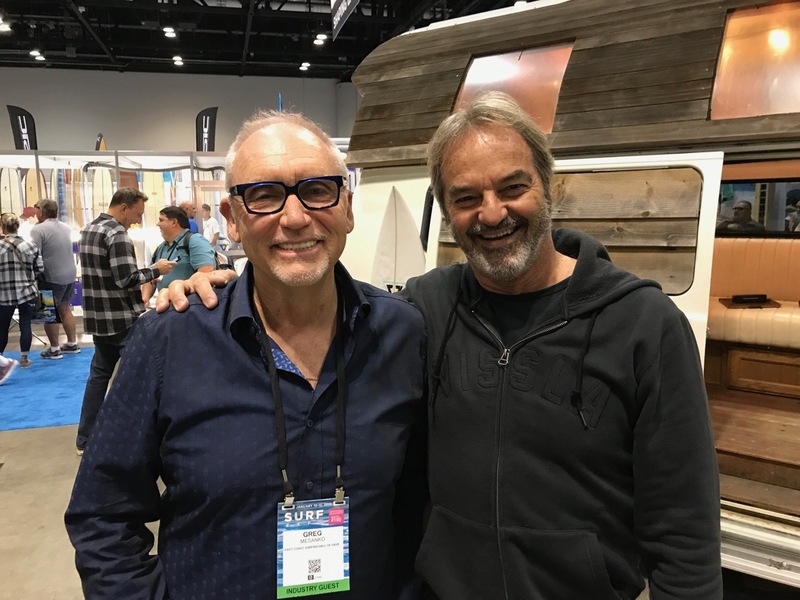 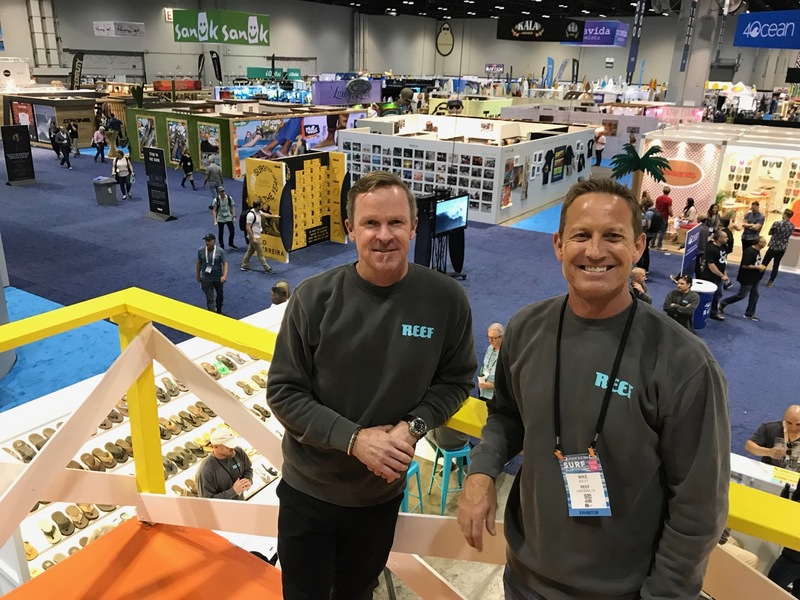 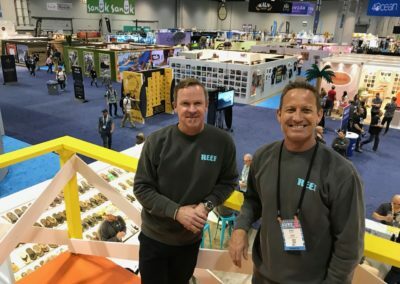 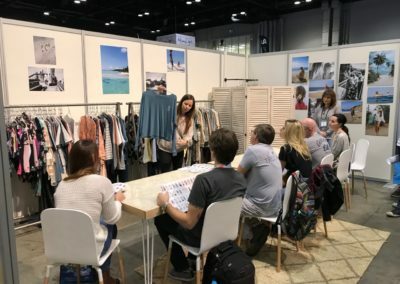 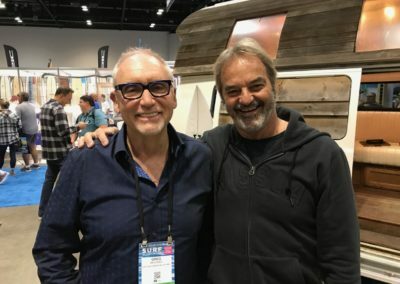 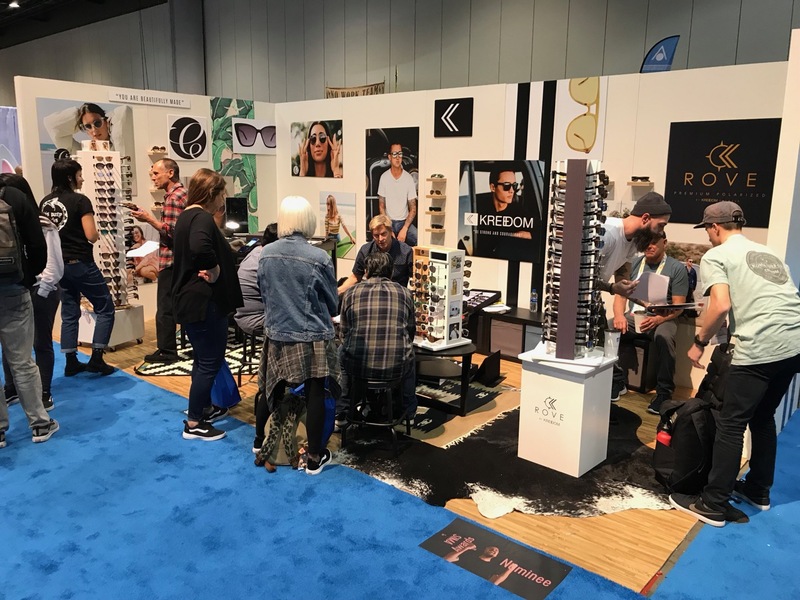 Reef and the CEO of new owner The Rockport Group met with retailers all day. Eric Gigler and Mike Matey of Reef. 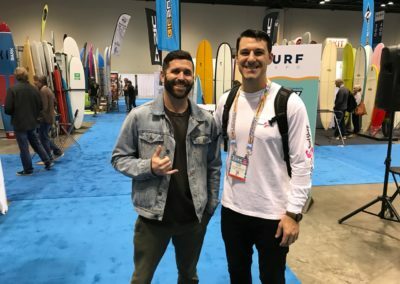 I almost broke my neck taking this photo, ask Mike the story sometime. 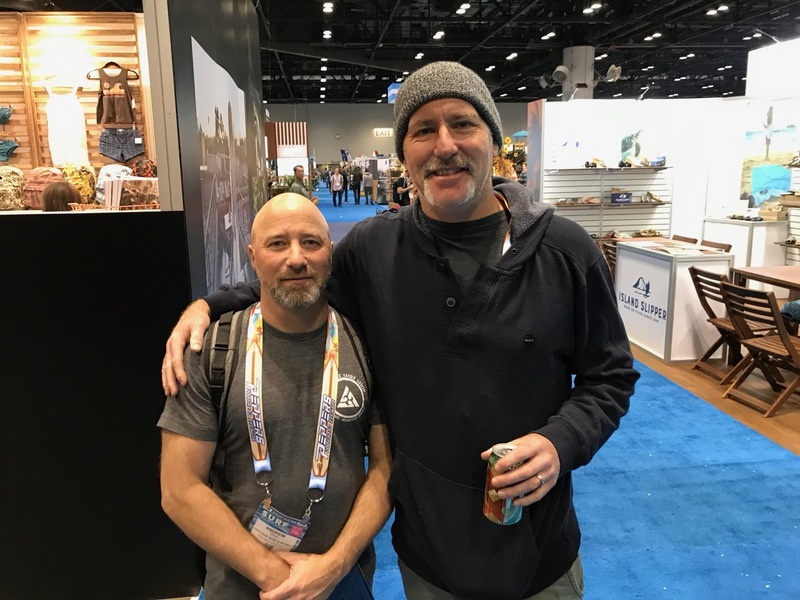 Tony Giordano of Ocean Hut, right, and friend Dennis Difeo. 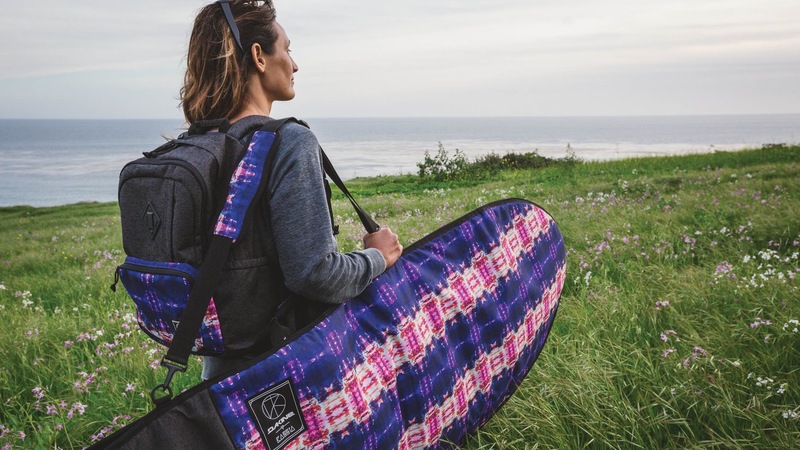 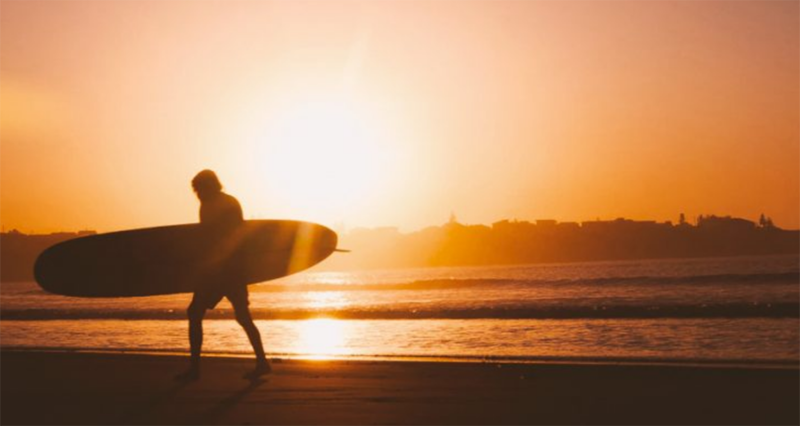 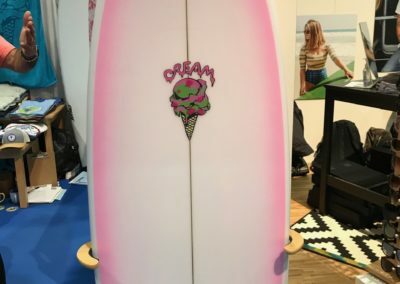 Tony has started a surfboard brand called Cream. 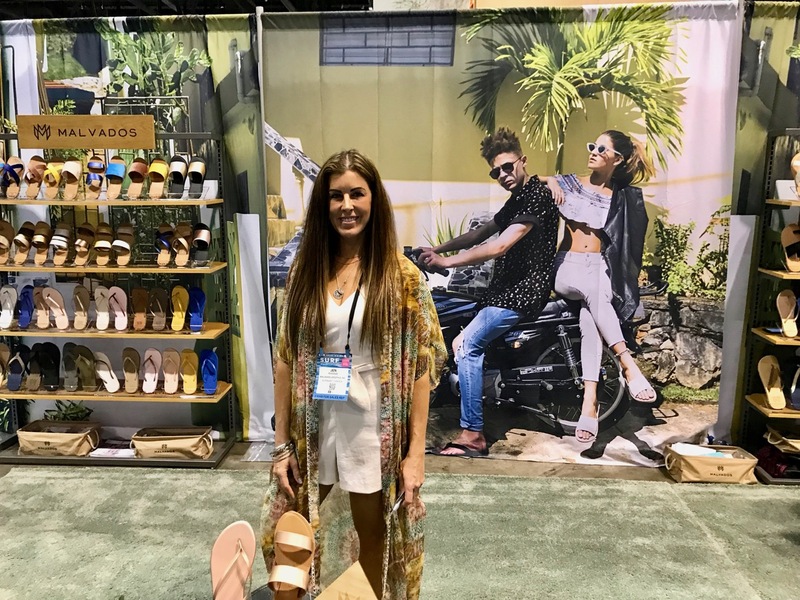 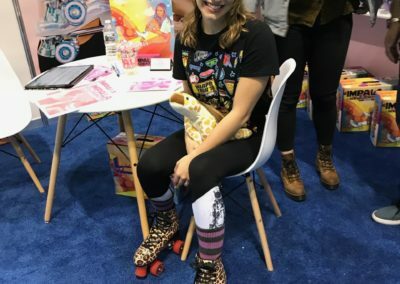 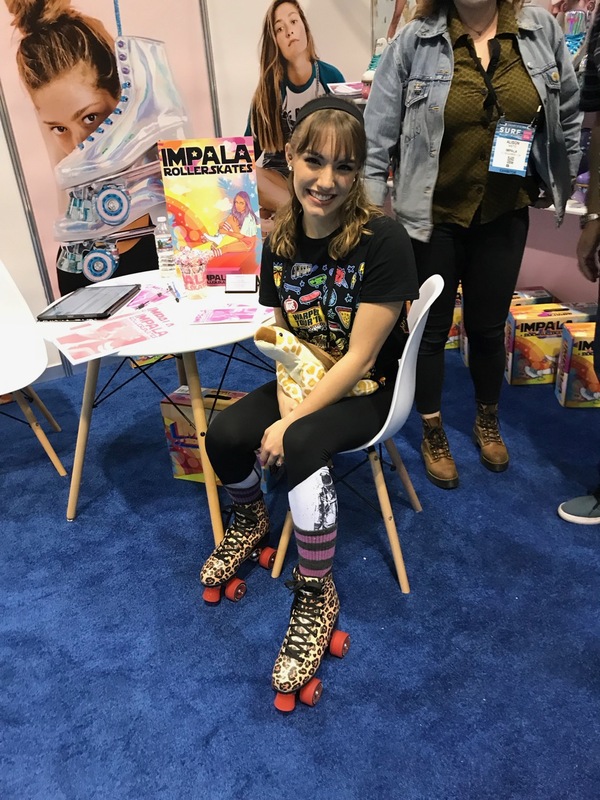 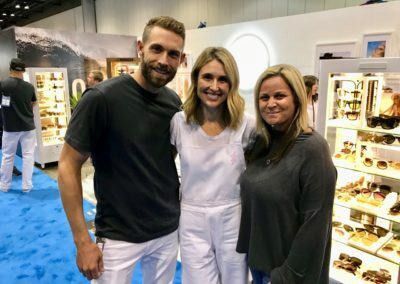 Jennifer Rainnie's Malvados brand was busy at the show. 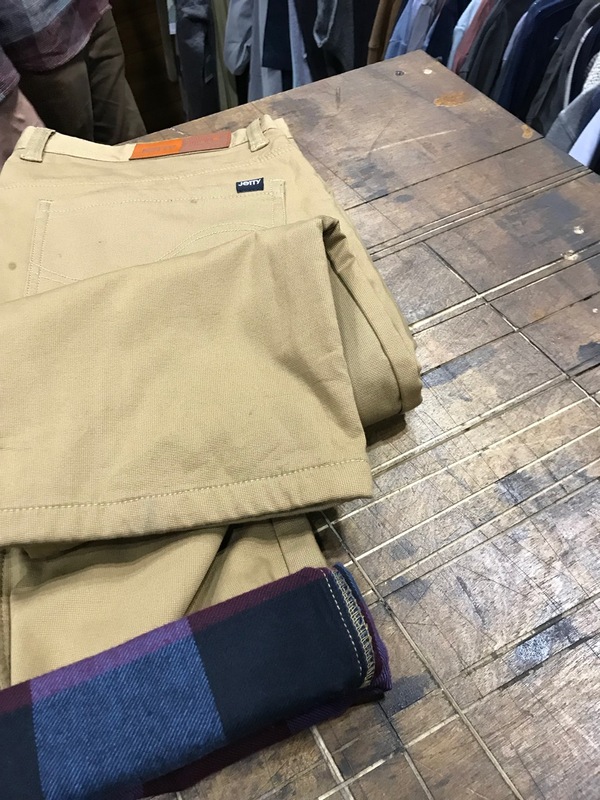 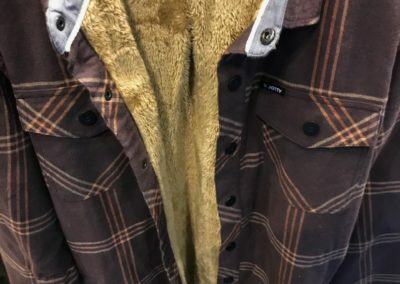 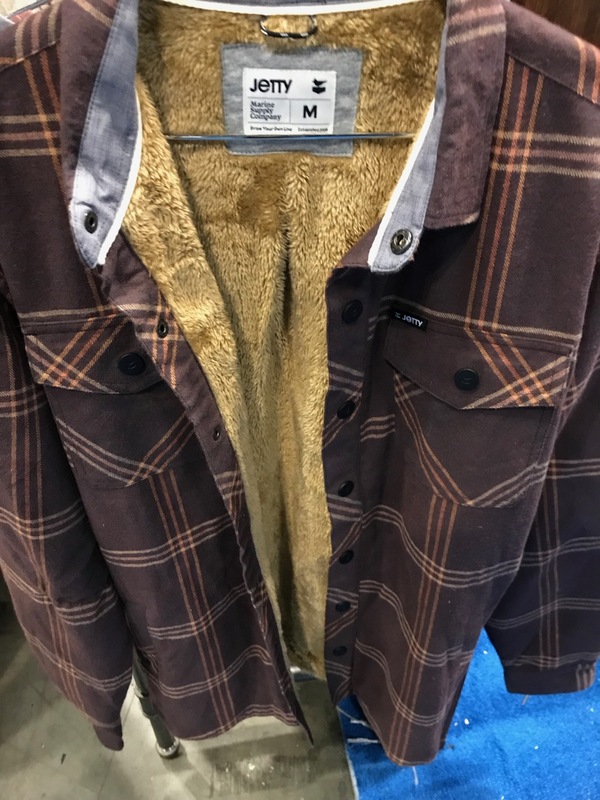 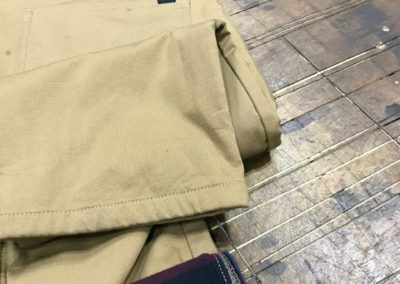 People are liking the fashion and the price point. 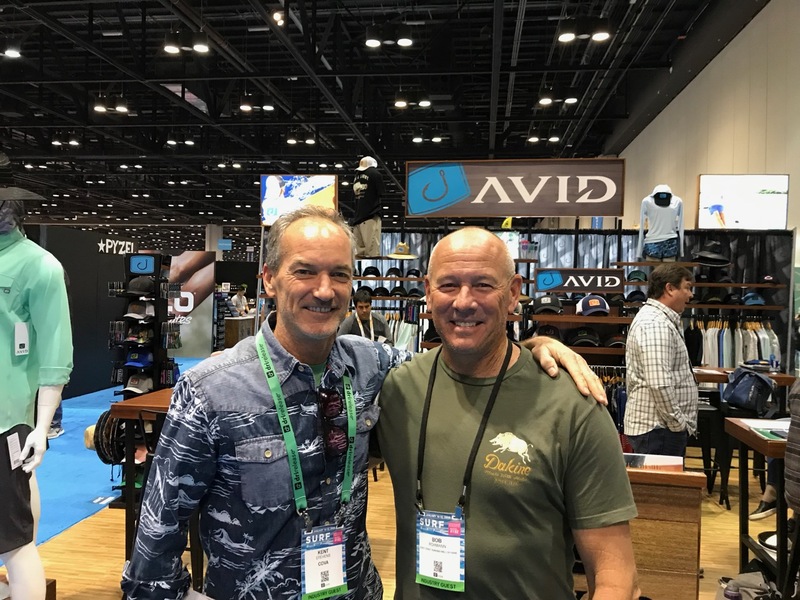 John Gothard of Pura Vida. The booth was packed all day.